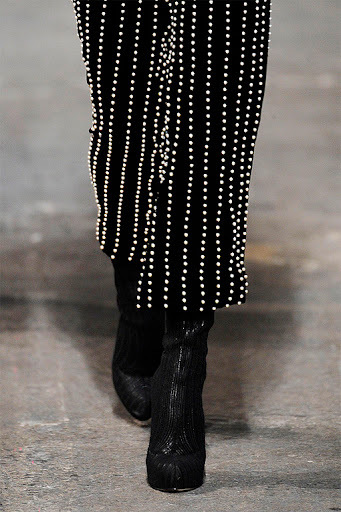 Pearls have never looked so modern at Wang's fall/winter 2010 show. 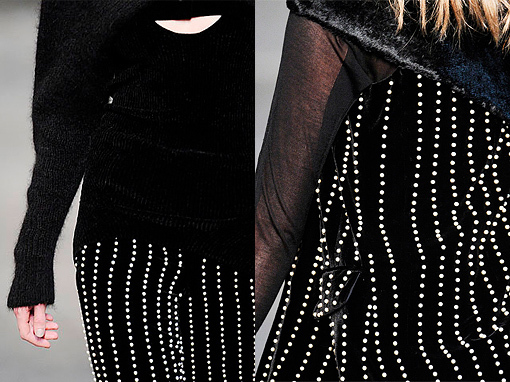 Thick black velvet covered with embroidered pearls create an unforgettable contrast. 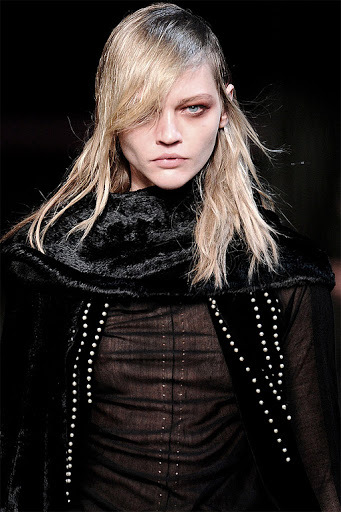 Our newest obsession.